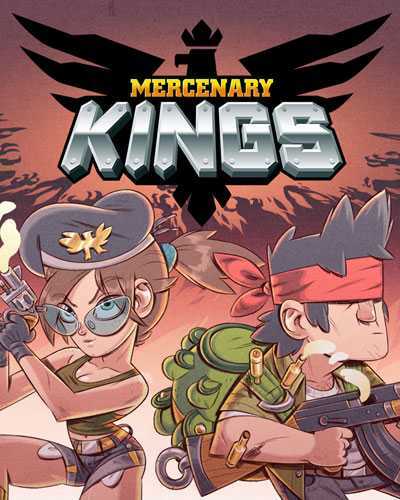 Mercenary Kings is an Action, Adventure and Platformer game for PC published by Tribute Games Inc in 2014. The military kings are here. The story is about a group of soldiers who works for honor. When the forces of CLAW attack your island, You get the duty to fight them. If you have tried Metal Slug, You will be familiar with the gameplay of Mercenary Kings. You will take the roll of one of the soldiers. Then, The tutorial parts will be started. When you completed this training part, You will be ready to start the fights. The enemies are waiting for you in the island. But you aren’t alone on this way. The player can get help from the other members of the groups. There are also soldiers that will help you to get to the target by helicopter. At first, The players won’t have great weapons. There will be only a classic gun on your hands. But you shouldn’t worry about it. Because it’s so easy to find new weapons from the hidden places. The player can also use other items like bombs. Remember that the number of the items are limited. You shouldn’t waste them for weak enemies. It’s also necessary to purchase new items from the store. So, You have to earn money by defeating the enemy soldiers in the game’s levels. Prepare to fight a large amount of enemies with modern weapons. Mercenary Kings have been released for PlayStation 4 too! It has got great sales on the both PC and consoles. If you are a fan of Action Platformer games, Try this one for free. 9 Comments ON " Mercenary Kings Free Download "
hei dude why this game always error when i play local coop (2player)….? Hello, i am getting error “could not initialize the sound engine, please make sure OpenGL redistributable are installed properly on your system”..i installed the file via setup and dropped the files in the ‘crack’ folder into the installed folder. please help.